Abigail Gamble, believed to be the first doctoral student at UM to receive a prestigious Robert Wood Johnson Foundation dissertation fellowship, is using the award to study the physical activity of schoolchildren in the Delta. 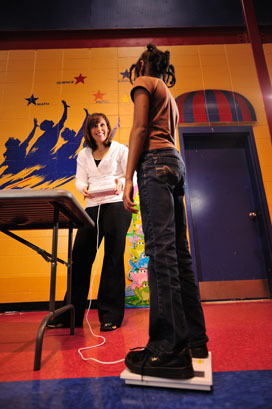 “We would like to determine how state, district and school-level policy, and the built environment of school recreational spaces influence in-school physical activity and weight status of children ages 6-11 years in the Mississippi Delta,” said Gamble, who was awarded the prestigious fellowship in September and is working on her Ph.D. in exercise science. “I decided to focus on children’s in-school physical activity because children spend most of their day at school and have the potential to be influenced by the opportunities they are given while at school. Jeff Hallam, associate professor of health, exercise science and recreation management, is Gamble’s dissertation adviser for the project, “The Role of Policy and the Built Environment on Children’s In-school Physical Activity in the Mississippi Delta. 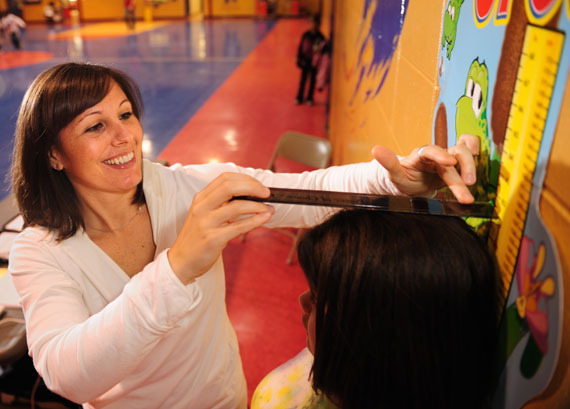 Gamble and Blake Goldman, a UM student working toward a master’s in health promotion, are traveling to 11 elementary schools in the Delta to collect height, weight and waist-circumference measurements on about 1,200 first- to fifth-graders. They are also assessing the built environment, or spaces where children play, and observing the children’s physical activity during both recess and physical education classes. Each school that participates will be given funds to purchase physical activity equipment to be used by the children during recess and/or physical education class. In addition, Gamble is conducting telephone interviews with state, district and school-level personnel regarding physical-activity policy. “My hope for this project is to uncover what some of the barriers and facilitators are to providing opportunities for children to be adequately physically active while at school,” Gamble said. She said she hopes that the results of this investigation will be directly relevant to state, district and school policy makers and administrators, and the outcomes used to directly impact children in rural underserved communities. “Specifically, researchers will have more knowledge and a better understanding of the social-ecological factors that influence physical activity among children and how these factors relate to the weight status of children aged 6-11 years in the Mississippi Delta. With this knowledge base, school administrators and program coordinators will be able to identify key points for intervention, while physical education instructors will be better equipped to deliver effective programs to alter children’s physical activity. Gamble said she is doing what she always meant to do.